If you have a thing for selfie phones or smartphones with big batteries then you must have heard of Gionee A1 Lite. The Gionee A1 Lite is aimed at selfie lovers and features a 20MP front facing camera, you also get a 4000mAH battery on the device. When the device launched, the question on everyone’s mind was, is the camera worth the hype? Is it worth the price? 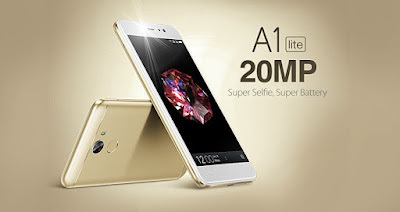 According to Gionee, the USP of the A1 Lite is the 20MP front facing camera. Which a lot of users have praised. One user said images look good under poor lighting. We also found a user online who claims to have used both the A1 and the A1 lite. He believes both devices have the same setup, but the image quality on the A1 lite is lower. Another user commented on how he loves taking pictures with his family members, while another said it was the best phone he ever owned. Another user talked about how the camera captures a decent amount of details. A lot of female users are very happy with the A1 lite, they say the A1 lite takes beautiful images and their selfies have lesser blemishes and a smoother skin tone. There were no complaints with the design of the device. Critics believe the Gionee A1 Lite is ergonomic and feels well built. We are not a big fan of the design of the A1 lite, we feel it is not as pretty as the A1. No complaints with the battery, users say the 4000mAH battery lasts long. Position of the fingerprint scanner, power button and volume rocker is just right and all three work quite well. Users are not too happy about the 720p display, a lot of users see it as a let-down. A lot of mixed feeling around the performance of the A1 lite, some users believe Gionee could have done better, while others believe a 3GB RAM does the work perfectly. For the most part, the Gionee A1 lite is a slam dunk. It’s brilliantly designed, budget friendly, has an excellent camera and has a huge battery that lasts. Long story short, if you’re looking for a new phone, this should be at the top of your list.